The annual Holiday Tree Lighting co-sponsored by FOSH was a beautiful evening Dec. 4 as the community bonded with residents in a warm celebration. 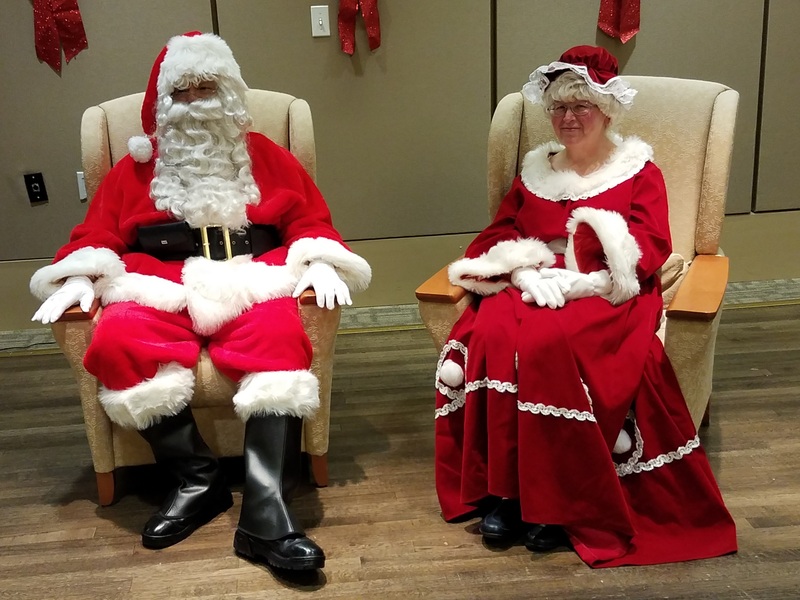 A Soldiers Home resident choir sang holiday favorites as Santa and Mrs. Claus looked on. FOSH is grateful that champion whistler Chris Ullman serenaded a thankful audience with holiday classics and some great stories. FOSH also is thrilled that the Georgetown Phantoms singing group delivered holiday classics and a Motown set. FOSH presented residents with a few gifts — a couple dozen wreaths that decorated the walls and some tents residents will be able to use at their warm-weather outside events to stay out of the sun. After the program, everyone headed to the courtyard for the tree lighting and sang songs. What a great night! Its that time of year again! We are collecting handmade holiday cards for the residents of the Old Soldiers Home/ Armed Forces Retirement home here in DC. If you know an adult, office, child, daycare, or school that would be interested in making holiday cards to bring some joy to these individuals who have spent years or a lifetime in service to all of us, please spread the word and help us hand out a card to every retired soldier we can this holiday season. 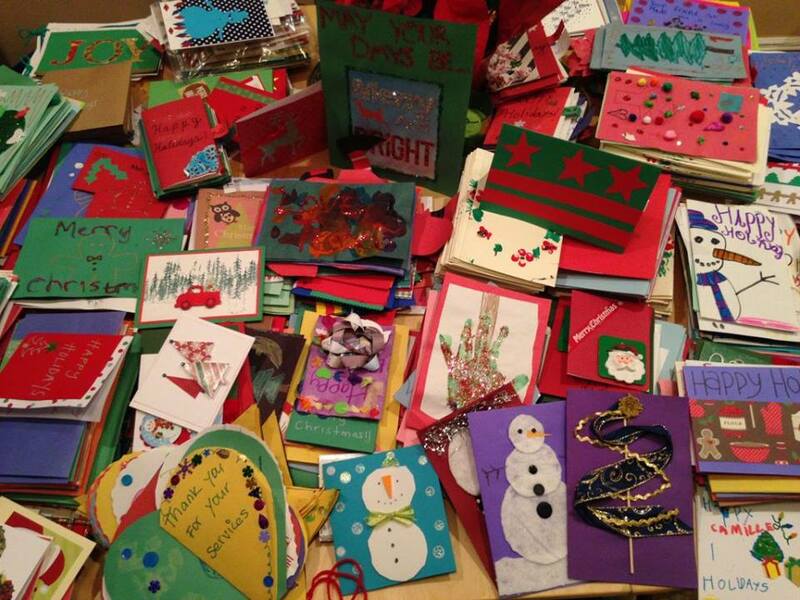 Last year we handed out over 700 hugely appreciated holiday cards from all over the country. The cards are delivered along with some hugs, singing and lots of holiday cheer. I will be happy to pick up the cards you make or you may mail/ drop them at my home. The deadline for this small but meaningful way to help experience the joy of giving back in our own backyard is Friday, December 14th. In the event the number of cards exceeds the number of residents, all of the remaining art will be shipped to operation gratitude for placement in care packages of persons serving overseas. 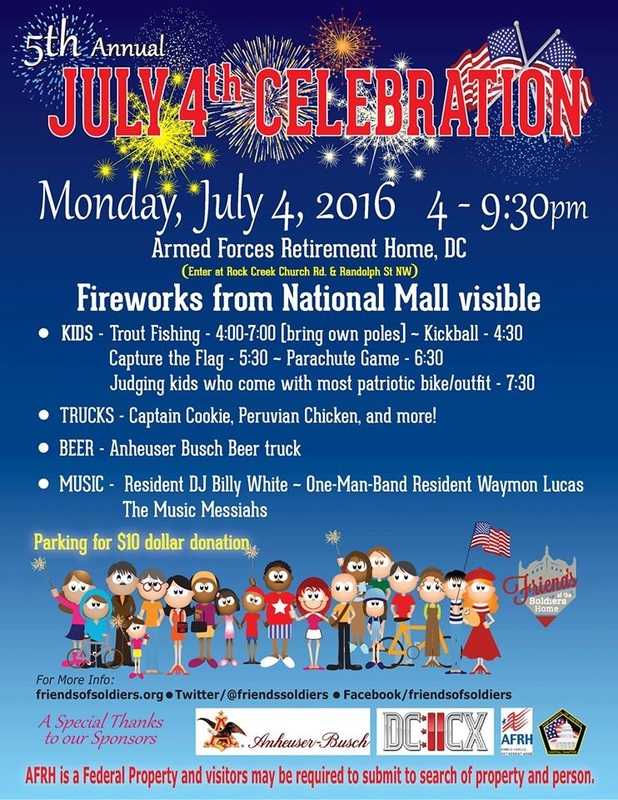 Please help spread the word and lets make this years card drive a success! Thanks so much/ Happy Holidays. 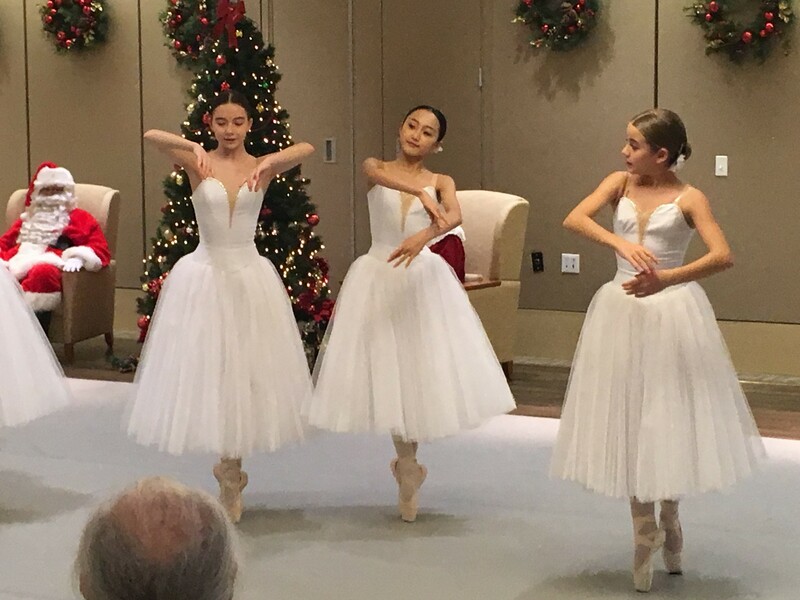 Friends of the Soldiers Home participated in its 7th consecutive holiday tree lighting on Tuesday, Dec. 5, and this one was probably the best yet. There were stellular performances by District Strings, Kirov Ballet and Georgetown Phantoms. 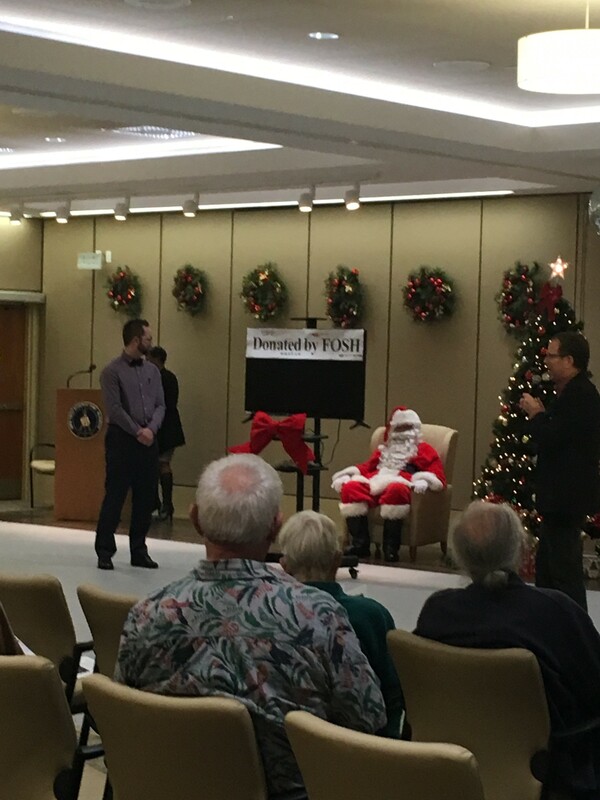 FOSH then proudly presented the Armed Forces Retirement Home-Washington with a holiday gift — a brand new 50-inch LG flat screen TV with an industrial-strength cart so it can be easily moved around campus. 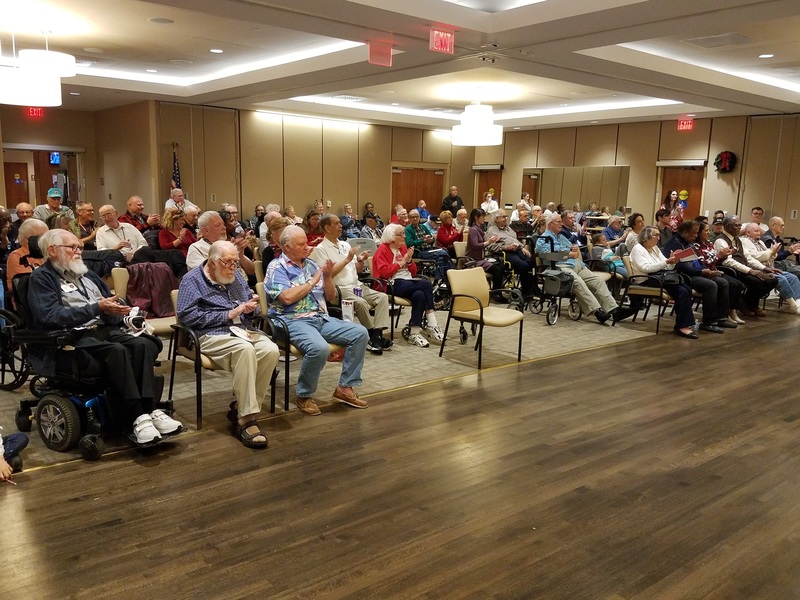 The Home’s recreational services department had the flat screen on its wish list so that veterans can make use of it in small-group settings such as the arts studio. 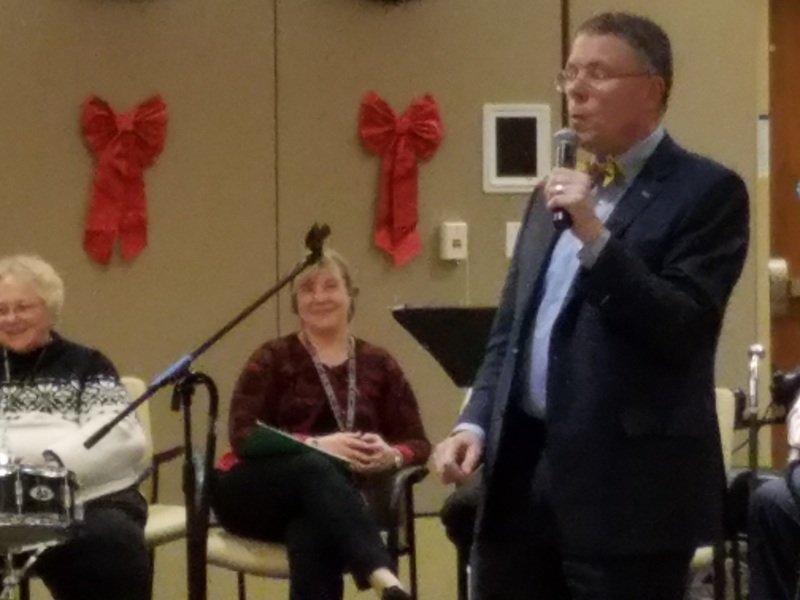 FOSH Chairman John Hughes, in presenting the TV, thanked residents for the ongoing blessings they have given to everyone through their service. He also thanked FOSH Volunteer Coordinator Lori Lincoln for executing the more than 50 volunteer events FOSH does each year and FOSH Board Member Kerry Hamblin for her service throughout the year and for arranging the vocal group the Phantoms to perform at the holiday gathering. The holidays are upon us, as evidenced by the lighting of the 16-foot Christmas tree at a gala celebration at Soldiers Home-DC the evening of Tuesday, Dec. 6. Santa was there, as were cadets from Magruder High School in Rockville, Md. Friends of the Soldiers Home, in honor of its 5th anniversary, presented the Home with a special holiday gift — a neon sign that will become a permanent fixture in the Defender’s Inn saloon on campus. The sign says in part, “AFRH-W, FOSH slautes you,” as a sign of permanent gratitude from Friends of the Soldiers Home to residents of the Armed Forces Retirement Home-Washington. Photos by John Hughes, Jonah Goodman and Matthew Roberts. 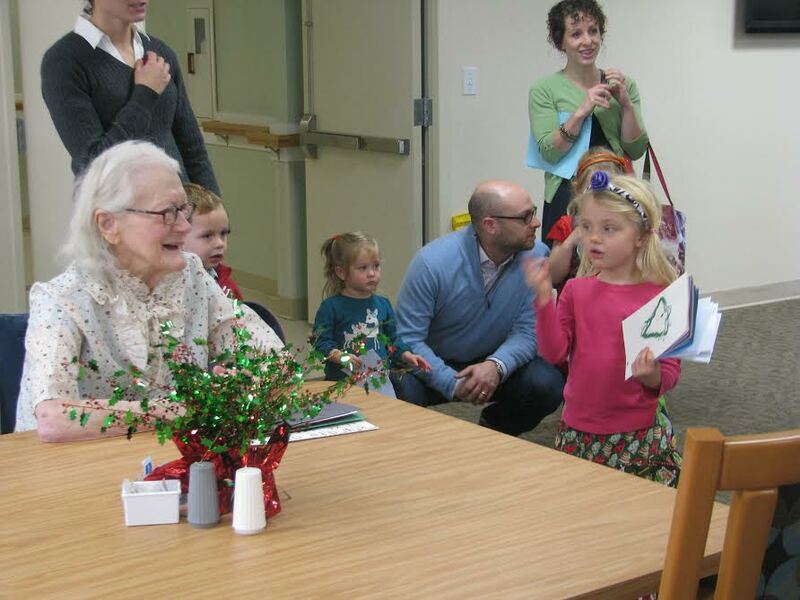 Our Friends at DC Homeschool Cooperative visited the Residents on Monday to bring homemade Holiday cards and to sing a carol or two – they brought much cheer to the Home this year! 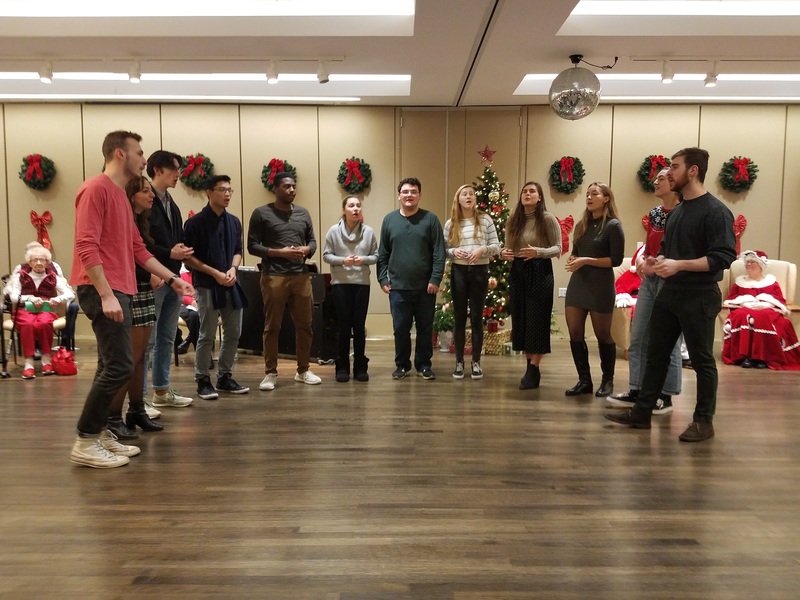 Jingo, Saloon Night Trivia, Tree Lighting with Kirov Ballerinas and Santa, and the annual Holiday Dance – we did it all! 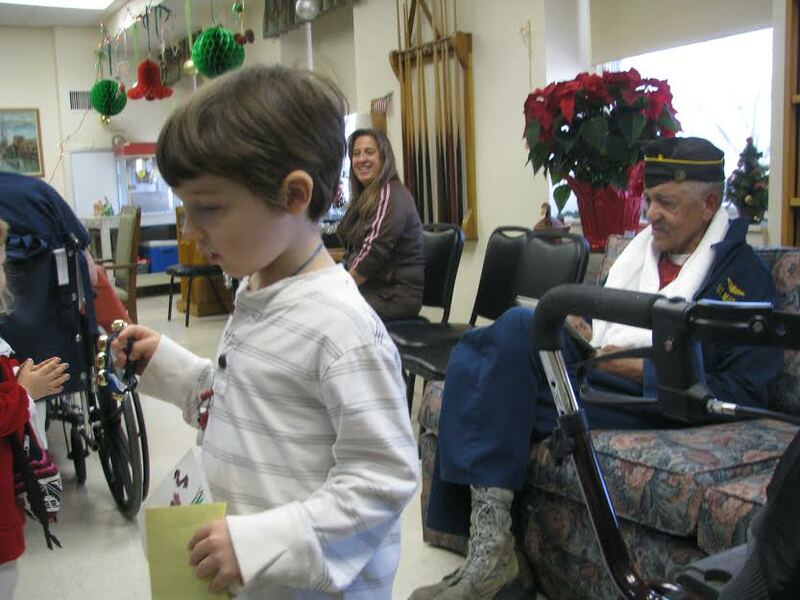 Friends joined the Home to celebrate the holidays with the veteran Residents and everybody spread good cheer and friendship. We wish all Friends a Happy Holiday Season and we’ll see you again in 2016! 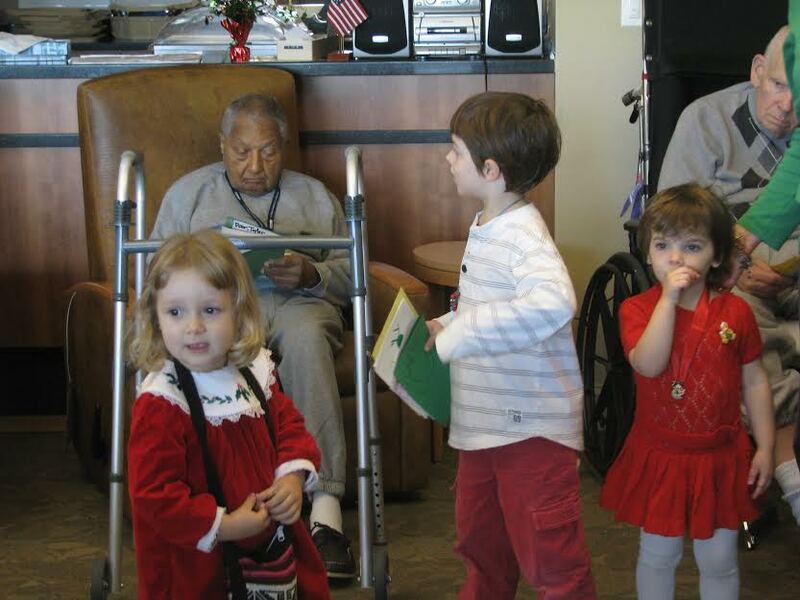 Friends of the Soldiers Home partnered with the DC Homeschool Cooperative Dec. 16 to for the third annual Holiday Card and Caroling Party at the Armed Forces Retirement Home-DC. About 20 children from the neighborhood and several of their parents spread a great deal of holiday cheer. They delivered hundreds of holiday greeting cards made by the children to residents all throughout the new Scott Building. They included visiting and singing along the way! This has become a wonderful tradition and another nice way to say thank you to our veterans. Thanks to all who came out for being such nice neighbors! Saloon Night with Friends, the holiday version, got veterans into the spirit of the season with toasting, dancing and an overall good time. Friends of the Soldiers Home brought beer and volunteers, and the Home’s resident DJ extraordinaire, Billy White, supplied the tunes. What more was needed? Just the laughter, smiles and fun that ensued. Too bad — Saloon Nights are over for 2014. The good news is we’ll be back with the next one on Jan. 6 2015! 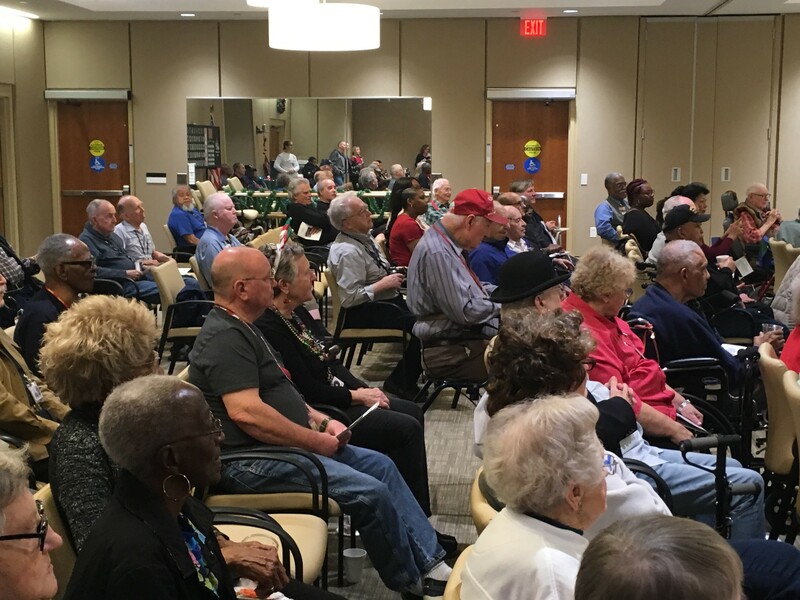 We love these Saloon Nights as small, but wonderful, ways to say thank you to our veteran friends at the Armed Forces Retirement Home-D.C. campus.